It is with great pride that I am able to share the report produced from the Local Authority review that took place at Moreton on Wednesday 24th January 2018. Three inspectors spent the day in school reviewing all aspects of school life and as you can see from the report- they were very impressed with what they saw. It is thanks to the hard work and dedication of the staff and the resilience and determination of the students to achieve that has led to such a significant change to the school’s culture and attitudes towards learning. This work will continue as we further develop our school community and push towards ‘outstanding’. The Trust and local governing body warmly congratulate Mrs Bayliss who has dedicated her life for the last 12 months to the development and improvement of the Moreton school community, the testament of which is attached for you to read. I look forward to seeing you at future Moreton events and thank you for your continued support and you can read the full report below. 1. The quality of teaching across the school and progress of students. · Developing clarity of roles and expectations for all leaders so that they can contribute to, and support, the improvements required. · Addressing issues with behaviour for learning. · Raising expectations of the quality of teaching, learning and assessment, and ensuring that underperformance is tackled swiftly. · Meetings with Senior Leaders regarding student progress data and teaching and learning policy. · Meetings with staff responsible for: safeguarding, SEND and attendance. · Scrutiny of improvement planning documentation, the school’s systems used to address underachievement and the impact of actions taken by the leadership team. · Learning walks, jointly with school leaders, to thirty lessons across Key Stages 3 and 4. · Scrutiny of pupil books. · Discussions with middle leaders. · Meeting with a representative group of teachers/ support staff. · Discussions with Key Stage 3 and Key Stage 4 student groups. 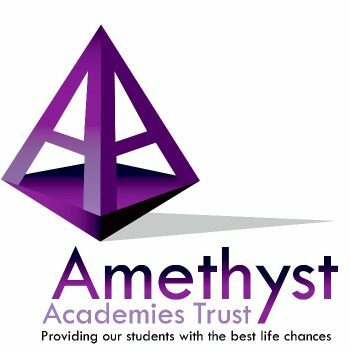 · There have been wide reaching, significant improvements at the school since the previous LA review of December 2016 and the school’s formal joining of the Amethyst Academies Trust. · Leaders have undertaken a complete overhaul of the school’s use of key strategic tools and as a result have increased opportunities for colleagues at all levels to understand their role in improvement initiatives. The school is now able to root its self-evaluation judgements in a broad and reliable evidence base. The quality of teaching and learning has been transformed through effective leadership and the culture of developmental, continuous professional development. · Students are very positive about the changes; they report that, “everything is more organised” and focused on their achievement. Crucially students say they now feel safe and secure at school. · Strategic leaders have realigned leadership roles and recruited, deployed and developed staff effectively so that the right staff are in the right posts. This includes successful examples of initial teacher training, “growing their own” teaching staff from other roles within the school, retraining staff in order to meet subject shortages, deploying staff across the two schools within the Trust and recognising and deploying early leadership potential. · These improvements were not able to impact significantly on Year 11 pupil outcomes in 2016 where Progress 8 was below the Government’s floor standard; however, reliable internal data shows that the current Year 11, and increasingly students lower down the school, are making better progress. In order to further refine the measuring of progress, towards challenging but reachable targets, leaders are currently reviewing expected progression patterns within the flight paths and basing targets on the top 20% of schools. · The school has worked hard to engage parents with some success but this remains a challenge in some cases. The opening of the Moreton hub will offer an opportunity to further link with the community. 1. Review of the quality of teaching and learning across the school and the impact on the progress of students. · The clarity of the teaching and learning policy, alongside professional development opportunities for staff and effective quality assurance processes, has led to a high degree of consistency in teaching. Students now experience the same high expectations and approaches across the curriculum. This is not to the detriment of teachers’ creativity however; where a teacher, at any stage in their career, has an effective idea this practice is shared within the school and across the wider Trust. For example a teacher’s recent idea of evaluation prompt cards was seen being used in music and English at both Moreton and Aldersley. · Teachers engage students in learning through a range of tasks that challenge them to think, actively participate in, and take responsibility for, their learning. Lessons move at an appropriate, purposeful pace, for example through the TOE (tasks on entry). · Teachers emphasise key subject skills and terminology and expect students to be able to use key words accurately – for example in an art lesson students could clearly explain how they were improving their work through using a wider range of tones. · All subjects are contributing to the development of students’ literacy. In addition to the use of key words there is an emphasis on structuring writing and developing confidence in speaking. There is potential to further build on collaborative activities through students practicing talking as writers prior to extended writing. · Marking policy is embedded across the school although a few examples of less effective practice remain. Thorough diagnostic marking often identifies the achievement of specific criteria. The impact on learning was particularly evident in an example seen in a Year 7 history lesson where the resulting green pen activity involved students substantially redrafting a piece of extended writing. · Presentation in students’ books is now of a much higher standard compared to a year ago. The system of teachers marking pages A, B or C, according to clear expectations of presentation, is understood by students; they experience this consistently from teachers and, as a result, take greater pride in the quality of work in their books. · Homework is being more effectively used to support learning with the emphasis moving towards homework as preparation for the next lesson. · Teachers plan differentiated tasks to match the ability and starting points of their students. They build in differentiated resources and questioning which enables students to make good progress within lessons. · Students know their long term targets and within individual lessons, they know what standard they are aiming for, often because the teacher has modelled “what a good one looks like”. The increasing use of personalised learning checklists helps students to identify what they can do and where gaps in learning need addressing. · Safeguarding is effective with strong procedures that meet all statutory requirements. Records are complete, detailed and of high quality. Processes are regularly monitored by leaders, including academy trust directors. · Staff receive appropriate, frequent and up-to-date training, including issues relevant to the local area, which ensures that they understand well their responsibility to keep pupils and learners safe. · Leaders make timely and appropriate use of other agencies and organisations to promote safeguarding and to support responses to any concerns; examples include Headstart and the police. · Students feel safe and secure; there are various mechanisms which enable and support students to report any concerns and they are confident that these will always be dealt with appropriately. Students are effectively taught how to keep safe through the curriculum. · During the review no low level disruption was seen in lessons because the teaching was engaging all students. Standards of uniform are exemplary and conduct around the building calm and orderly. Students feel that some staff manage behaviour more effectively than others but that overall things are consistent across the school. In particular students in Key Stage 4 are very positive about the improvements in behaviour they have witnessed. · There are clear rewards and sanctions in place which students understand. The rewards system, such as text messages/ postcards home and points towards amazon vouchers is motivating students of all ages. · Staff, and younger students, report that a small minority of students, mainly in Key Stage 4, are not yet fully “on board” with the higher expectations. Possibly to address this issue fixed term exclusions have been high recently. · The vast majority of students exhibit positive behaviours for learning; in addition to the engaging teaching this is achieved through a culture of academic and pastoral support which students feel supports them as individuals, for example Year 11 feel supported to cope with exam stress through mindfulness sessions. · The culture is becoming one where students feel comfortable with success. They are now more likely to have high aspirations for themselves due to a rich range of opportunities such as visits to and from businesses and higher education institutions, as well though the curriculum. · At the time of the review attendance is in line with National at 93.9% and there is no significant Pupil Premium or SEN gap. Staff resources and clear procedures are in place to further improve attendance, for example home visits with calling cards left if no one is in, and all processes and outcomes are logged. · Persistent absence is currently high at over 16% with a higher proportion of Pupil Premium students; the school is working closely with Education Welfare and families to improve this, for example insisting on medical evidence for absences of PA students. · There is now a notably more systematic approach to the school’s improvement with clear lines of accountability and frequent checks at a number of levels ensuring that SLT are clearer, sooner about the school’s performance. Middle Leaders are clear about the school priorities and are now enabled and empowered to lead their areas of responsibility. · Alongside the communication structures, such as regular one to one meeting with line managers, the continuous professional development systems enable effective discussion and trial of improvement initiatives. The move to basing lessons around “big questions” is an example of the thoughtful implementation of a strategy in which middle leaders have been able to play a full role. · Middle leaders now have a vital role in ensuring assessment tasks are of a consistent standard and the outcomes moderated. If their analysis of progress data shows that the progress of any group has slowed they quickly adjust student programmes of learning and implement interventions so that any slippage in learning minimised. They ensure that staff in their teams are using data on the performance of both groups and individuals in their care in order to support accelerated progress. · Special Education Needs is well led with processes in place to ensure appropriate support is targeted and co-ordinated. SEN teaching strategies are integrated into whole school teaching practice and staff cpd, for example an emphasis on proof reading. · The role of standards leaders for each year group (ASL) is having an important impact on maintaining an overview of each student’s progress. Alongside the pastoral focus of Heads of Year the ASLs are ensuring interventions, subject specific issues and communications with the student and home are aligned. Both Middle leaders and students themselves described the effectiveness of this role. · Continue to implement the school improvement plan priorities, building on the best practice and address any areas where implementation is less effective. · Continue to increase the sophistication of expected progress paths that are bespoke to different subjects. · Continue to raise staff expectations of students’ literacy at the start of Year 7 based on standards observed at feeder Primary schools, including talk for writing and redrafting strategies to improve extended writing. · Share “even better if” marking which has the greatest impact on student progress, such as redrafting/ editing work. · Some further good practice recommendations were made regarding safeguarding: around information for visitors, reference and letting information on the single central record, and recording the internal and external checks made on the SCR.